Amy Herzog’s latest opus is truly impressive in terms of all the work that had to have gone into it…way more effort than I would EVER want to make to write a book and an extremely valuable resource that you’ll want to own. 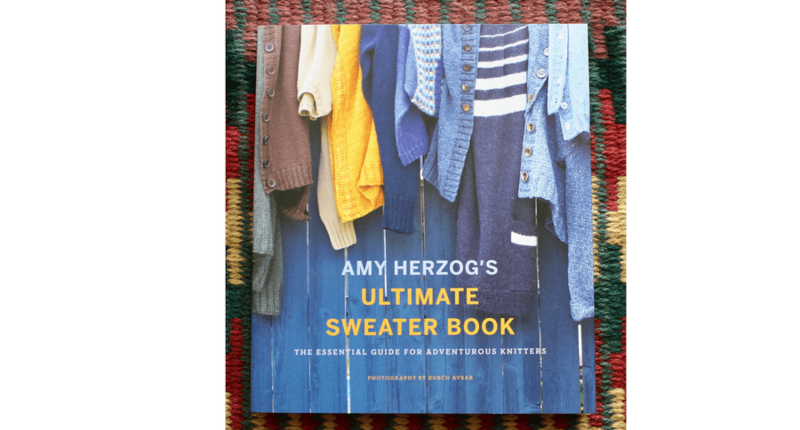 If you truly want the complete guide on basic sweater types (yoke, raglan, drop-shoulder and set-in sleeve are the styles she covers), the Ultimate Sweater Book by Amy Herzog is everything you want to know about measuring, designing, modifying, and knitting a sweater. 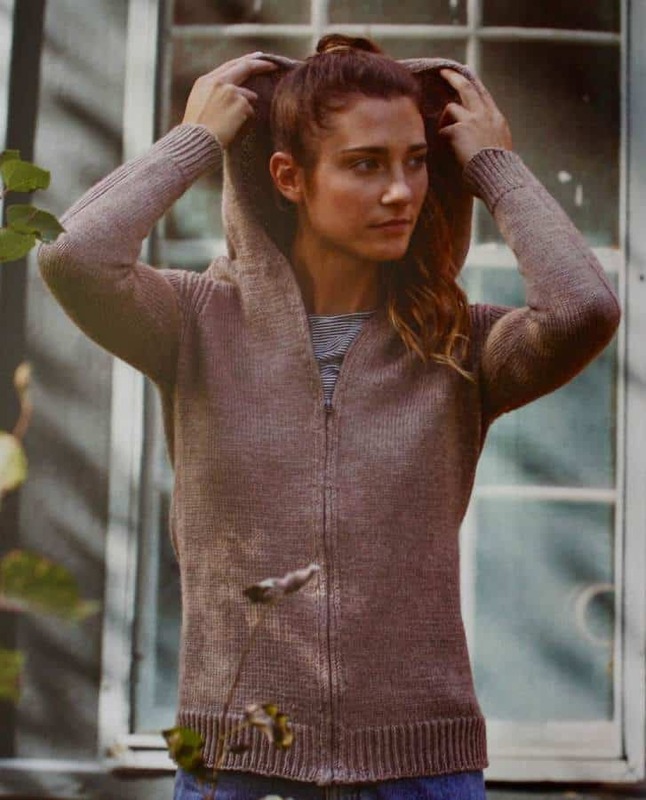 Except in a live workshop, I have never seen a more detailed look at how to measure someone for a sweater and how to translate those measurements into a design or modifying an existing design. From measuring, to yarn substitutions, to gauge, to modifying existing patterns, etc., etc., etc. there is amazing detail in this book…it’s a Master’s thesis on basic sweater design and knitting from someone who is an expert in the field. On first glance, I was disappointed there weren’t more “men’s” sweaters, but then I realized there were many of them even though none were modeled on a man. One example I’ll note here is her Jump Shot Hoodie pattern. Despite being shown on a female model, this would be a great standard sweater for a guy as well. And fortunately, she designs in an unbelievable number of chest sizes. This also shows how much ease you should build into your design, which I think is a critical component when deciding on which size to knit. As I started, I can’t imagine all the work that went into this book, but I’m mighty glad Amy did it and I can benefit from all her work. It’s been hats, hats and hats…actually, three hats this past weekend. 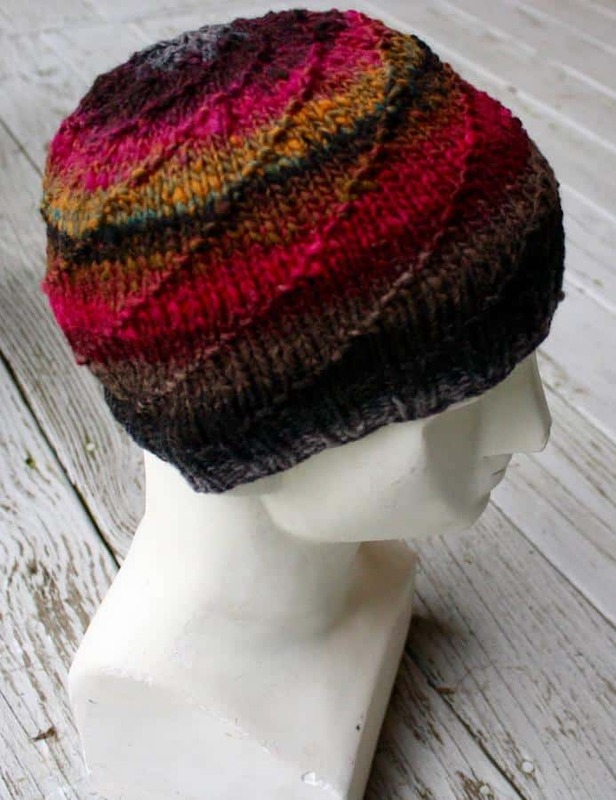 The first and third hats are Noro Kureyon using a spiraling design. 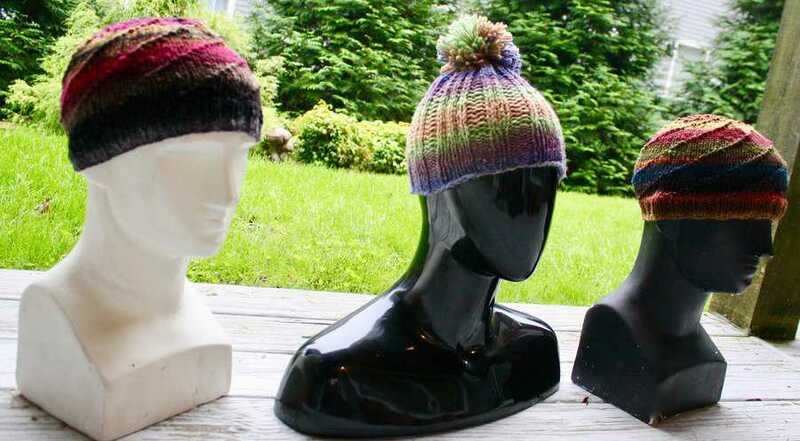 The center one is the Super Chunk Hat design by Eric-Jon which he’s looking to publish soon. 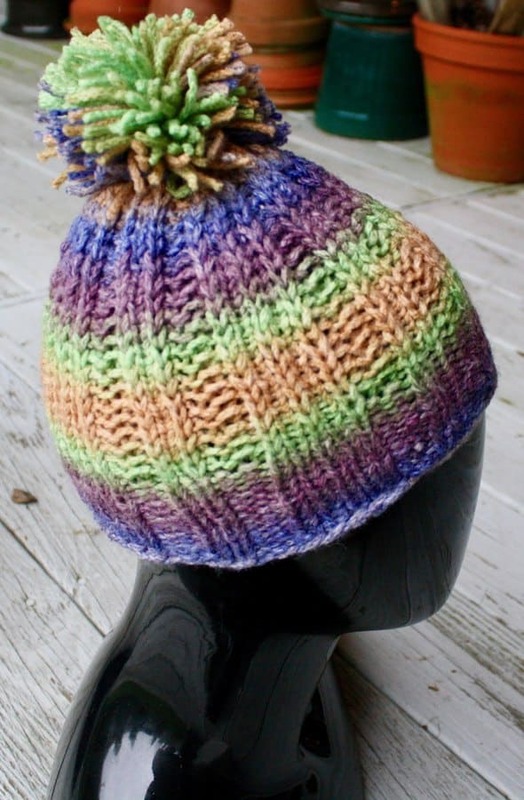 I’ll write more about his design when it’s available, but it’s a really beautifully done pattern and works with a lot of different bulky yarns. 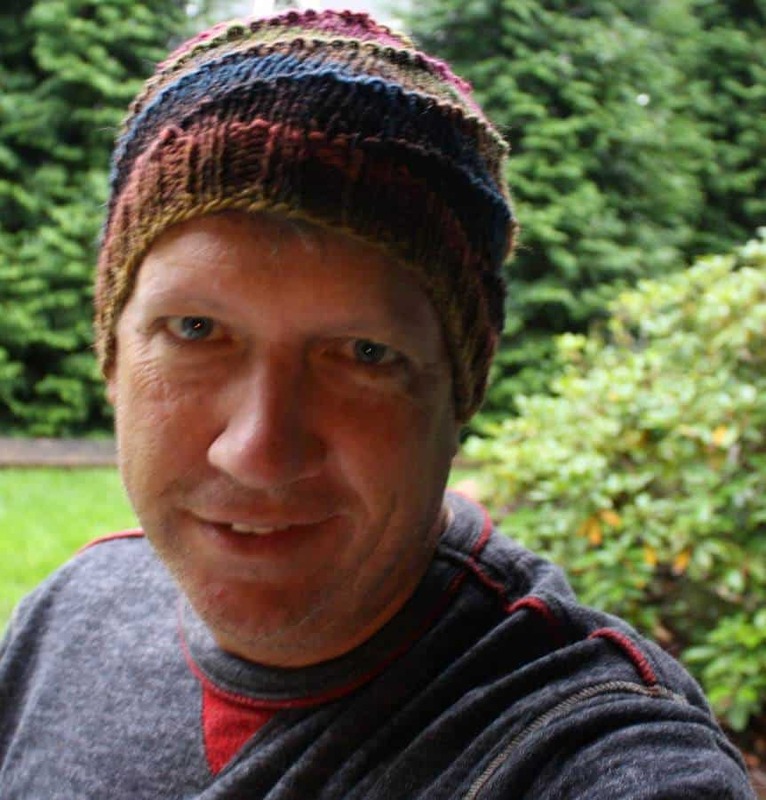 Finally, I particularly like the autumnal spiral hat, so I wore it during the photo shoot this chilly morning. 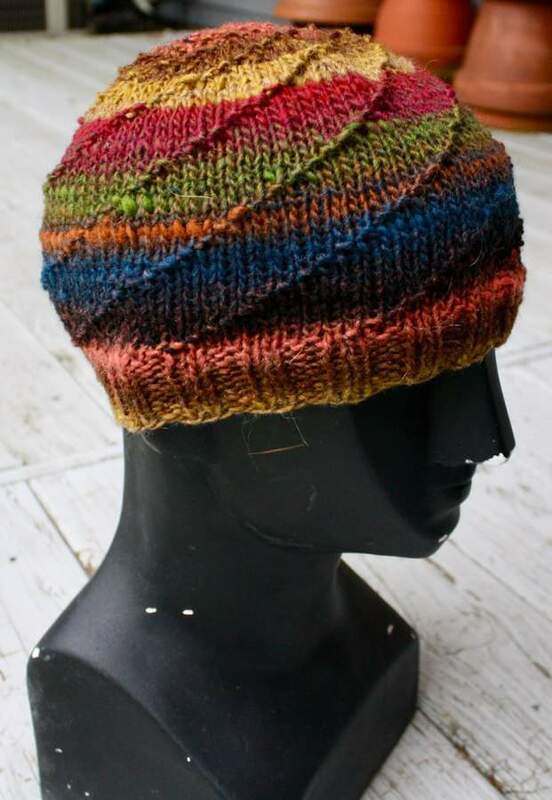 Not typically my colors, but I love the richness of color in this last hat I just finished seconds ago.